Two ancient nematodes from the Pleistocene age are moving and eating normally again for the first time since the Pleistocene age. The roundworms, original from two areas of Siberia, came back to life in Petri dishes, according to a scientific study. Russian scientists from the Institute of Physico-Chemical and Biological Problems of Soil Science, the Moscow State University, the Pertsov White Sea Biological Station which is part of Moscow State University, the Higher School of Economics in Moscow in collaboration with the Department of Geosciences at Princeton University defrosted and analyzed some 300 prehistoric worms from different ages and origins. In geology, permafrost is ground, rock or cryotic soil, at or below the freezing point of water 0 °C (32 °F) for two or more years. Most permafrost is located in and around the Arctic and Antarctic regions. At lower latitudes, alpine permafrost occurs at higher elevations. The scientific paper Viable Nematodes from Late Pleistocene Permafrost of the Kolyma River Lowland was published in Doklady Biological Sciences, a bimonthly scientific journal presenting English translations of current Russian research. According to the paper’s Abstract, the scientists have obtained the first data demonstrating the capability of multicellular organisms for longterm cryobiosis in permafrost deposits of the Arctic. Nematodes are worms. There is an estimated over a million different species of nematodes. They are the most numerically abundant animals on the planet. Nematodes can be found everywhere, from the deepest part of the ocean to the top of the highest mountain. According to the research paper, one worm came from an ancient squirrel burrow in a permafrost wall of the Duvanny Yar outcrop in the lower reaches of the Kolyma River – close to the site of Pleistocene Park which is seeking to recreate the Arctic habitat of the extinct woolly mammoth. 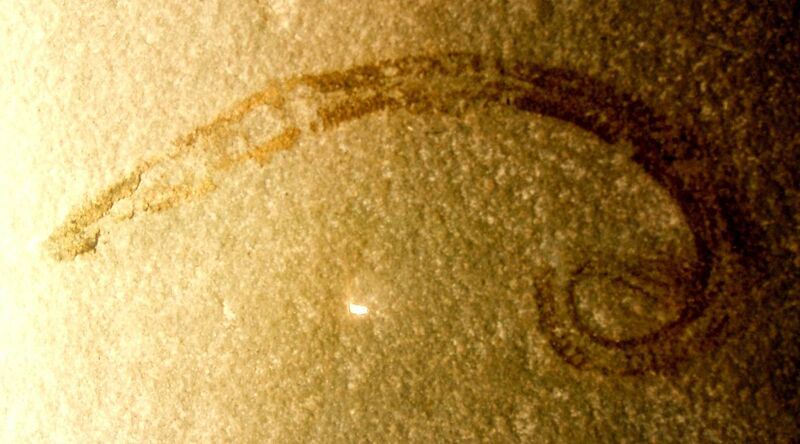 The study revealed that this worm is around 32,000 years old. Another worm, which was found in permafrost near Alazeya River earlier in 2015, is around 41,700 years old. Currently, these two nematodes are the oldest living animals on the planet. They are both believed to be female, although some nematodes are hermaphrodites. According to the paper, the data collected by the scientists demonstrates the ability of multicellular organisms to survive long-term –tens of thousands of years– cryobiosis under the conditions of natural cryoconservation. This discovery suggests that the Pleistocene nematodes have some pretty impressive adaptive mechanisms that may be of scientific and practical relevance for the science related fields such as cryomedicine, cryobiology, and astrobiology. This could signify the start of a new and facinating scientific conquest toward the survival of multicellular organisms through cryoconservation of endangered species or even human beings themselves.